I am pleased to share that the SAQA Regional Exhibit Texas Quilts:Art in Stitch is currently being shown at the Museum of Texas Tech. It is a wonderful show that traveled from Abilene. 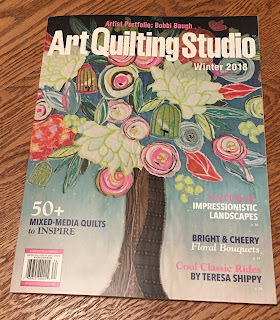 I'm super excited that my "Angel of Mercy" quilt is the cover art for their article. Click here to go to their website and see the exhibit. 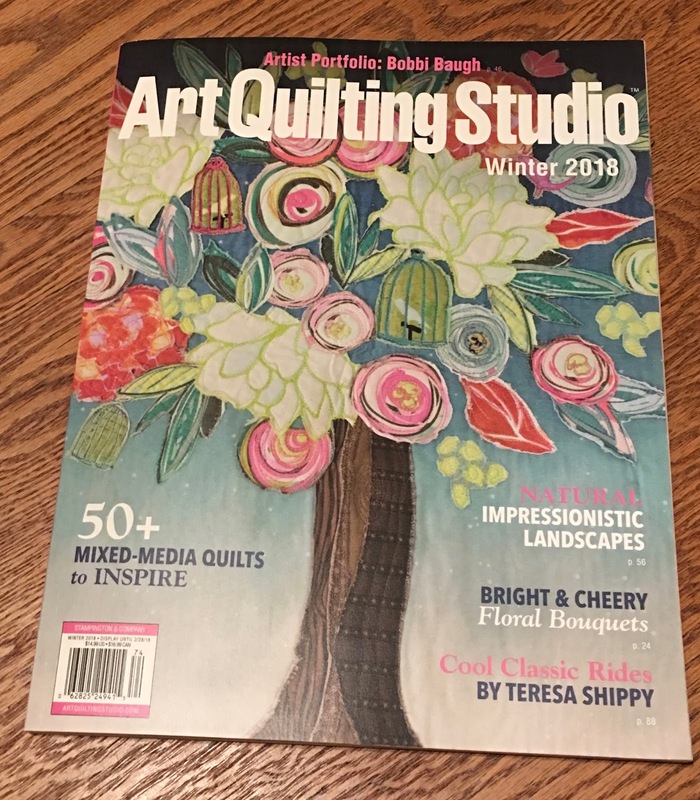 Also, don't forget to go to your local quilt store for Stampington's website to get the Winter Edition of Art Quilt Studio magazine. 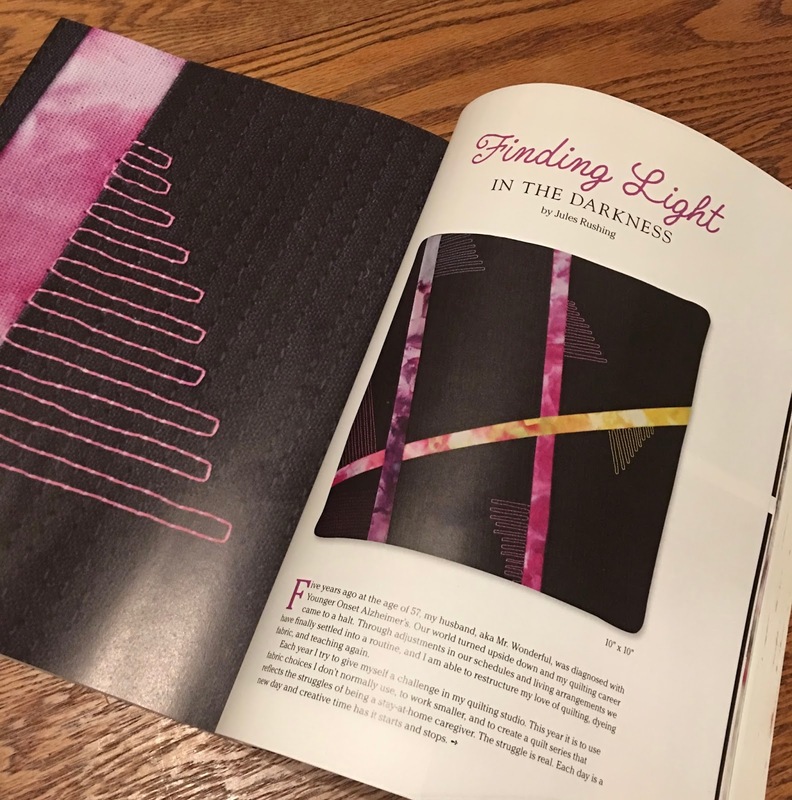 My article "Finding Light in the Darkness" is on page 106. Yup, just a little excited! The magazine is suppose to hit the stores December 1st. I have a few projects in the works. Stay tuned for updates on their progress!